How do you know you’ve got a flea infestation? Fleas are an unwelcome visitor to any household. They are quite common, particularly if you have a pet, which will almost inevitably come into contact with other flea-carrying animals. 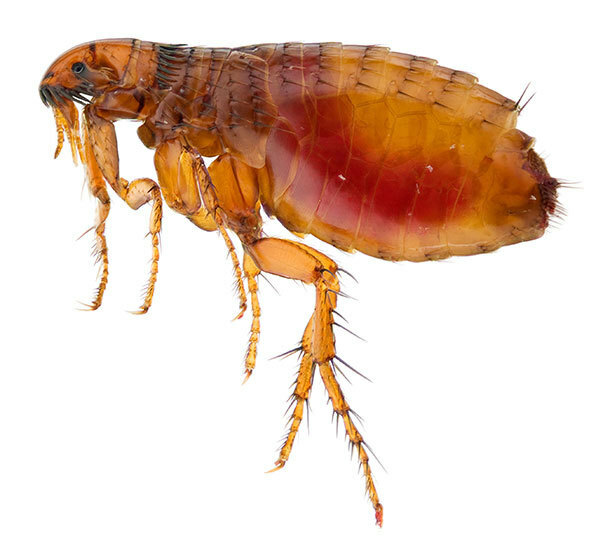 Fleas have several life stages – they start as eggs, hatch into larvae and mature into adult fleas, which will bite humans, animals and birds to feed on their blood. Flea larvae tend to live on carpets or bedding, where they feed on organic debris and adult fleas' excrement. If you need to get rid of fleas from your home, Which? Trusted Traders has endorsed pest controllers in your local area. You can see the adult fleas. There are several different species, but most are 2-3mm long and reddish-brown in colour. 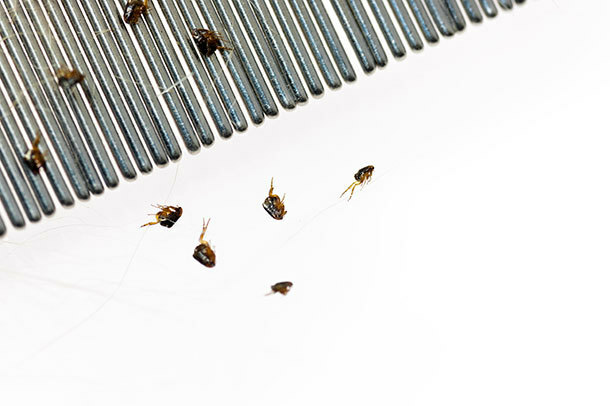 You can tell them apart from other bugs, such as bedbugs, by the way they move – fleas will hop or jump rather than crawl. You can see flea eggs or faeces. Tiny pearly-white eggs and the dark-coloured faeces of the adult fleas can create a 'salt and pepper' effect on light-coloured linens or bedding. You get bitten or a rash – particularly below the knee. Fleas will bite at any time of day. They tend to bite below the knee, as they can’t jump any higher, although they will also bite ankles and around your middle. They also tend to stay around areas where pets sit, or in their bedding. The bite usually looks like a heat spot: ‘a red welt’ rather than a raised lump. Some people develop a rash. Pet bedding – Cats and dogs will inevitably come into contact with other flea-ridden animals. Fleas don’t tend to cling to their victims, so a pet’s bedding is a good place to look for adults and eggs. Clothes, bedding and luggage – Any warm, dark place provides harbourage for a flea. In addition to the clothes in your wardrobe, a washing basket is another favourite hiding place. Carpets – You might find fleas on top of or underneath a carpet. Bird’s nests – An abandoned bird’s nest in a roof space will almost certainly contain fleas, as well as other pests such as moths and beetles. Fleas are becoming more resistant to some of the more popular over-the-counter remedies. So if you have a cat or dog and think they could have fleas, the first step is to visit a vet, who will be able to advise on a suitable course of treatment. Usually, treating your pet will eliminate the problem. But if you don't have pets, or the flea problem persists despite treatment, try these steps. Regular, careful vacuuming is important to tackle flea eggs, larvae and adults. Empty the contents of the vacuum outside into a plastic bag, and put this in an outside bin straight away. Wash clothes and bedding at a hot temperature, at least 60°C. Check the label before you shrink your favourite items, though. Cushions, delicate clothes, children’s stuffed toys and anything else that can’t be hot-washed can be frozen instead. Wrap everything in a bin bag and place it in the freezer overnight. You can buy this at the vet or from a DIY store. You should carry out the spraying at the same time as washing and freezing your belongings, otherwise you risk reintroducing fleas to your clothes and bedding. But be aware that fleas are becoming increasingly resistant to common chemical treatments. Use this underneath the carpet to kill off the flea larvae, according to the manufacturer’s instructions. Flea larvae spend 80% of their time in the base of the carpet, around the twisted pile fibres. If these measures, in combination, don’t work, you could try a flea lamp. Costing around £15, they consist of a small lamp and circle of glue inside a tub. The fleas are attracted to the heat, mistaking it for the human body. They become stuck to the glue as they jump around. If DIY treatments aren’t getting rid of your flea problem, then it’s time to call in a professional. 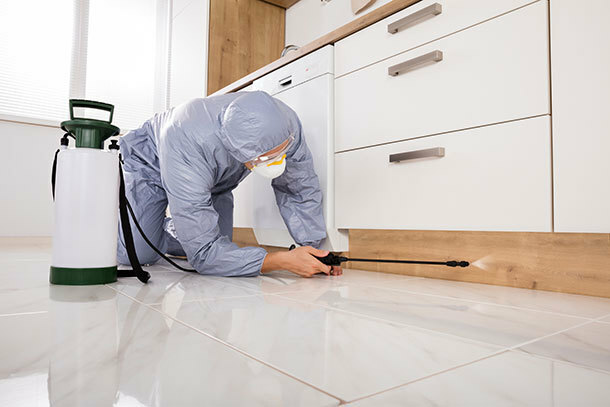 Always ask how the pest-control company proposes to treat the problem, and how its quotes work. Is it quoting per room or for the whole house, for example? It’s also worth finding out whether the company offers any kind of guarantee. You want to be sure the fleas are gone after paying for the treatment. A treatment will cost somewhere between £150 and £350, depending on the size of your property and the nature of the furnishings. Moving furniture is labour intensive, and a good pest controller needs to be thorough. For example, they will remove the cushions from a sofa in order to spray the nooks and crannies. If you have a flea problem, then you can find a pest controller with Which? Trusted Traders. All our endorsed traders have successfully passed our rigorous assessment process.